May Celestia be with him. 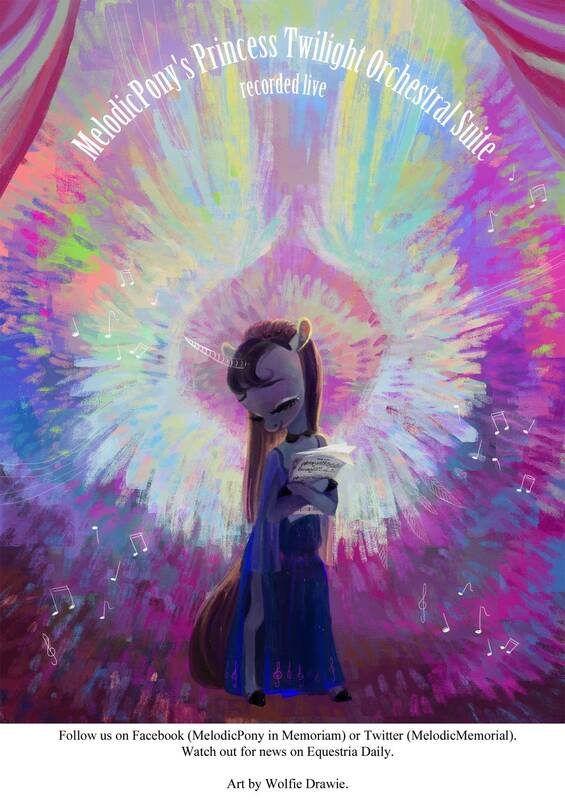 Furthermore, there is another project by The SeaPony Orchestra coming shortly, and they also intend to commemorate MelodicPony by having his music performed live. Their event has been carefully prepared and planned for over a year and will take place just this weekend! Make sure you don’t miss it. The Seapony orchestra is a fairly ambitious project to get a group of musicians together to play some music at SEAPonyCon 2017 in Thailand which they’re calling the ‘Tribute To Melodic Pony’ performance. As far as I’m aware it’s going pretty well, but they still need some more help in terms of musicians for the performance. Make sure to check out below for the full details! Hey there everypony, we are The Seapony Orchestra – a brony orchestra project, currently we are still lack of members and wish to getting some volunteered musician that can play instrument and able to visit SEAPonyCon for the Tribute to Melodic Pony performance.